In less than four weeks, the final season of Game of Thrones will be within our grasp (I can’t believe it myself, but I assure you that it’s true; I wouldn’t joke about such matters.) And you know what that means? Now the fun begins. At least, it does for the geekiest of us who love to speculate and hypothesize about what may be coming. With the running times recently revealed on the schedule, the episode titles will be coming any day now. Before they do, why don’t we give it our best shot with our predictions? Come with me! 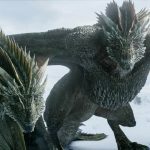 In previous years, Watchers on the Wall hosted a survey in which our readers could enter their suggestions for what that year’s titles could be. Understandably, it was much easier when there were books in which our guesses could be based upon. That road map for the show is long gone, yet what we have now instead is the certainty of an ending. Do you have an evergreen title up your sleeve that the show has been so thoughtless as to never include? Now’s your last chance! 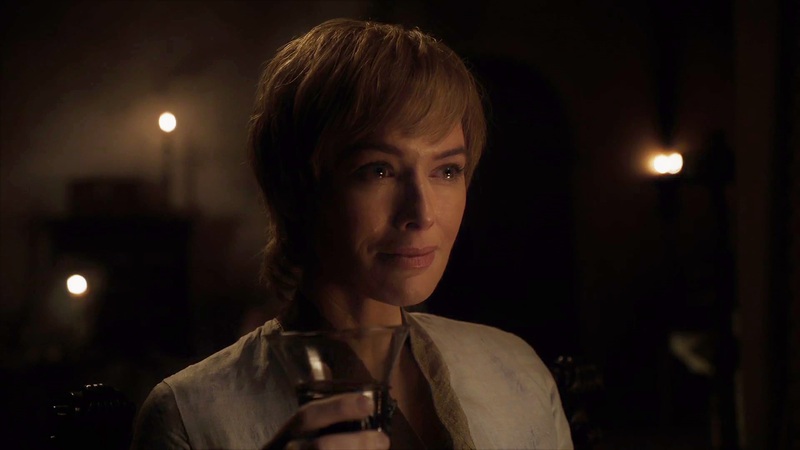 Have you ever thought of the perfect name for the final episode, or for the battle against the dead, or for Cersei’s inevitable demise? Well, now there are only six episodes left, and all of that is probably happening! Despite the utmost secrecy in which season eight was filmed, our guesses may be more on point than they have been in years, just by virtue of this being the ending. My point is that I foresee, for example, a lot of “A Song of Ice and Fire” and “A Dream of Spring” predictions for the final few episodes from you guys… and this time they will probably be right. If you need help with your titles, please understand that informed speculation carries with it mild spoilers. Feel free to speculate blindly, but in that case skip the spoiler-tagged section and jump ahead to the final paragraph before heading to the comment section to make up your titles. 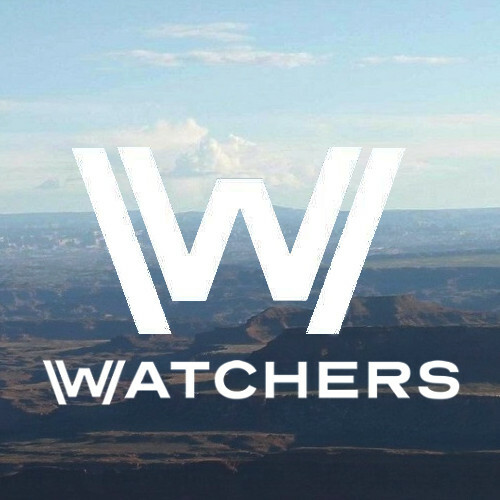 You only need to know this: six final episodes, six titles. As for the rest of us, let’s be considerate and use spoiler tags when discussing any reasoning for our predictions that are based on spoilerific set reports or casting news. “SPOILERS!”, Jaime yells out, with no one there to hear. Let’s go through a rundown of what we know—or think we know—of season eight. The season will begin with the arrival of Jon and Dany in Winterfell. The first episode and maybe even the second one will have many characters reuniting or meeting for the first time. Will we see them react to the breach of the Wall? Will Jon learn the Truth™? Meanwhile, another meeting of the minds will happen as Cersei welcomes the Golden Company, which Euron brought from Essos. What could possibly go wrong? Episode three will be entirely based around Winterfell and the battle between the living and the dead. It was directed by Miguel Sapochnik, of “Hardhome” and “Battle of the Bastards” fame, and it’s been lauded as the longest and most elaborate battle in cinematic history. It’s also the longest Thrones episode ever. Point being, it’s a big one. Of the fourth episode we know very little, though a scene was once described that involved Brienne and Jaime, among others, fighting side by side against the undead. This means the Battle of Winterfell doesn’t end the White Walker threat. David Nutter, director of the first two entries and this fourth one, shot some King’s Landing scenes that only seem to fit here, as Jon was seen south and parleying with Cersei. Also, Theon must try to save Yara at some point, though episode two seems as good a fit as this one. 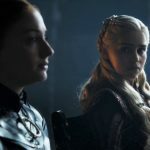 The series finale, written and directed by the showrunners Benioff & Weiss, has been under more secrecy than any other episode, understandably. We don’t know anything about it, though the return of the Dragonpit, with much of the cast involved, could fit here, if it doesn’t in the previous episode. Even if we knew anything, I’d predict just as many “A Song of Ice and Fire” and “A Dream of Spring” guesses as I do now. We reported on more details, but these basics may help you with your predictions. As you may have noticed, this time we’re forgoing a formal survey. Instead, whenever episodes titles are revealed (usually not all at once), we will point out if a popular prediction turns out to be right, or if any of you plucky outliers who went against the grain guesses a title correctly. In such a case, your prize will be the knowledge of having been right and the adoration of the masses. Don’t let it go to your head. Brand new Game of Thrones pop up cards coming from Lovepop! Episode 3: The Long Night (only reason I could see this not being the case is because the prequel show might get this name… of course, that doesn’t mean both can’t share). Least confident about 4. I do think “The Golden Company” could be in there somewhere. “A Dream of Spring” as well. I also like Valonqar for a title. It doesn’t mean anything in the show but it would keep with their usage of other titles – The Ghost of Harrenhal or The Broken Man – neither of which were in the show but were featured as inspirational titles. We haven’t had the Lannister words “Hear Me Roar” as an episode title. Maybe if Cersei does set fire to Kings Landing we can get that title. 6) A Dream of Spring. The ones I listed I’m pretty sure are mostly accurate or close to. For Ep2 they really could do anything. For Ep4 I was leaning towards something to do with Gold (Jamie’s Hand and the Golden Company being of importance in this episode). For Ep5, I was possibly thinking of a title relating to Cersei and Euron … such as “The Lion and the Crow” or something along those lines … or if we want to borrow another book title then “a Feast for Crows” since well it is a pretty awesome title and seems to fit pretty well. You so win this entire thing! 3 – No need to explain, this will literaly be a damn long night ! I can’t see D&D make up a better title unless it’s something GRRM told them and it is only relevant once we’ve seen the first five episodes of the season. THANK YOU for reading Luka’s note about spoilers. Just to say I read your nice post on the other thread again and made a more specific response on the foreigner issue. We still disagree but I did not want to just wander off. Oh yes, Lightbringer. Great choice! That is one of those simple, one-word titles that could mean so much in the show. There’s so many great possible titles and only six episodes…Since many are supersized, it would be great to have a chapter 1 title and a chapter 2 title… but I think we’re stuck with 6. If there’s going to be an episode called “Winterfell” I think it’s probably going to be the battle episode set there, not the premiere — akin to “Blackwater” or “Hardhome”. That was the title for the season six finale. Oops!! I thought it was a season 7 title and actually went send checked the episode titles to confirm. I am going to blame being distracted by my three tiny hooligans and trying to multitask making their dinner and posting on WOTW at the same time. 27 days is way too long! This is my favorite list so far. Hear me Roar seems to be a given since we’ve already had Fire and Blood as well as Winter is Coming. Probably Episode 5. I’d be really dissapointed if it won’t be, since Starks, Targs and Lannister were the three main houses from the very beginning until the very end. For ep. 3 I’d kinda like Winter fell, that is, if Winterfell is about to fall. “A Dream Of Spring will” is almost definitely ep 6. I tried to come up which episode titles that haven’t been suggested already (like “A Dream of Spring”, which seems like a popular choice). * Edit: I see that Tron79 already suggested this. I’m sure others will be mentioned before I post this. ** Maybe these were used already too. I don’t think “Hear Me Roar” will be an episode title, but of course, I could be wrong. It just sounds so cheesy. I do, however, think that “The Long Night” would be a solid suggestion for episode 3. Maybe, “And Now My Watch Begins” or “The Night Gathers” could be another for the same episode. “A Dream of Spring” and “A Song of Ice and Fire” both have to be there too, I would think. Still thinking of ideas for episodes 2 and 4. Episode 1 – Winterfell – The first episode was called “Winter is Coming.” This would be a play on those words since winter is here, thus winter fell (as in snow fell). Also, the title of the first episode of last season was “Dragonstone,” so it could mirror that as in another major homestead. And it’s pretty obvious that a huge chunk of the episode has got to take place at Winterfell based on the characters left in the show and where they were and/or headed in the S7 finale. 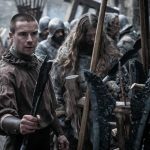 Episode 2 – We Do Not Sow – Getting pieces into place and what-not, this episode will likely feature Euron and the Golden Company, as well as Theon and the Ironborn going after Yara more heavily than any other episode simply because it makes the most sense time-wise. The first episode is getting everything set up, the third episode is when the action has to start happening since we only have six episodes and that’s literally the half-way point of the season. The show has used the words of the Houses before as titles; it would be a good time to use one here, and these are the words of House Greyjoy. Plus, they would fit the Night King’s wave of destruction and inability to plant life, they only destroy. Ooh, and if Cersei has a miscarriage, it would have an added layer here as well! Now, they could go with “The Golden Company,” but I don’t think that’s all encompassing enough. Episode 4 – Hear Me Roar (OR alternatively) Ours is the Fury – Pulling another alternative title-guess again. We have to deal with Cersei and King’s Landing. 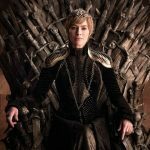 Cersei took the throne as the Queen of Robert and the mother of his two “sons.” With her downfall truly happening (or beginning to happen) here, the words of House Baratheon might just might apply. 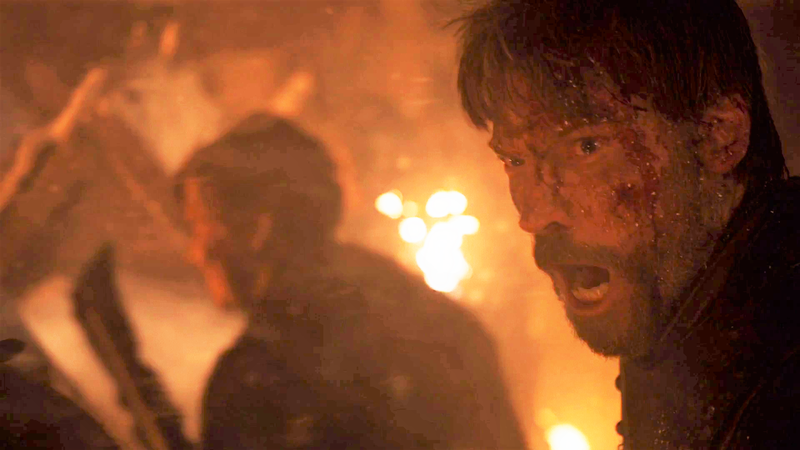 Also, if Gendry were legitimized by Jon or Daenerys, it could also ironically signify the Baratheon’s fury roaring back to life. (I just don’t think he was brought back solely for “fan service” reasons or only as Arya’s potential love interest. 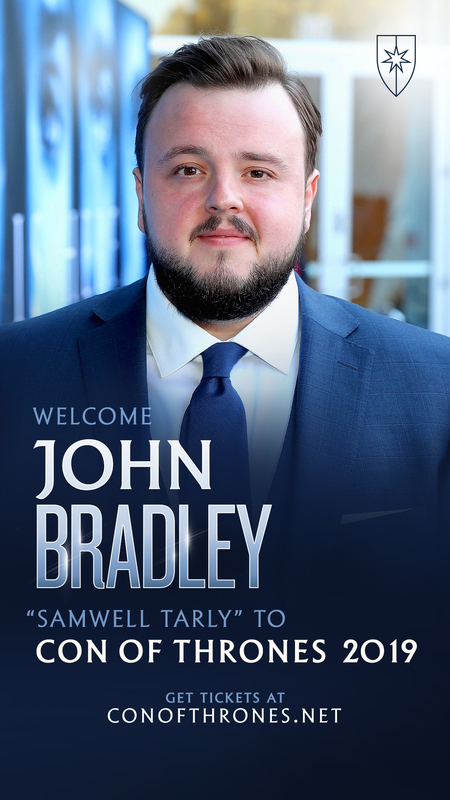 He’s going to play a bigger, more Baratheon-y part, I think.) Speaking of roaring… yes, there may be irony also in that it could be the final roar of the Lannister dynasty. Thus, I could see either the Lannister or the Baratheon words as the episode title. Episode 5 – Lightbringer – Basically whatever is up with the whole Azor Ahai, Nissa Nissa, The Prince/Princess that was Promised happening here. I mean, it’s gotta happen, right?! If they hadn’t said that it could be “prince” or “princess,” I’d go with “The Prince That Was Promised,” but since they did make it ambiguous, I don’t see them revealing the answer in the episode title. Episode 6 – The Dream of Spring – They changed “A Dance of Dragons,” to “The Dance of Dragons,” so they’ll probably do the same thing to GRRM’s proposed final book in the series title, “A Dream of Spring.” I can’t really see the final episode being anything other than ADOS or TDOS though. What is Dead May Never Die has already been used (season 2 episode 3). I like the rest though. Thanks! I realized it almost right away and made a change. Ooooh. I love Voice in the Flames. That’s a good one. Since “Hear Me Roar” is so corny, I would think that “A Lannister Always Pays His Debts” could be more of a possibility regarding Lannister-themed episodes. 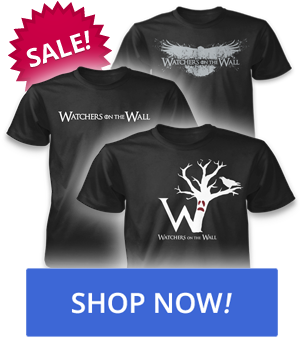 “Winterfell is about to fall?” What tv series are you watching? You all realize that HBO/Dan & Dave will be reading these guesses don’t you? I would like one of the episodes to be named Aeg. Also, Winterfell, Kings Landing, Dream of Spring, Long Night are a must. Not really anything to these, besides episodes 2 and 4 which I think we’re kind of in the dark about. I think Cersei will get married in episode 2 and Jaime will give that speech about fighting for the living… so it could have a double meaning if it’s A Lion’s Oath. I’m not sure if Cleganebowl will happen in episode 4 (I think it’ll probably happen in episode 5 but if that’s a big battle it wouldn’t be named The Mountain and the The Hound), but that sounds like a good name for a title. Here’s one I’d like to see: “Frozen Fire.”. It’s got the ice and fire duality; it’s another name for Dragonglass; and it could refer to undead Viserion’s blue flame too. 2) Have everyone mark an X over the cast members they think will die this season and sign their name on the form. You could even give bonus for correct episode. 3) at the close of the season reward the winner. The North… is already S02E01. King’s Landing is my guess for Ep 5: we have at least one king on a dragon and most probably we’ll have to by then – they have to land somewhere. For The Throne should be one of the titles. Just like me: queen of the ashes. I choose that title because it could refer to two queens. And if KL will burn maybe they both are too blame. change king too queen, and it could be something that could happen in season 8. But yeah, most of these are throwaways because I think we’ve probably got at least 4 titles right already and one or two will be things we could never guess. Weeell, I’ve been thinking about the episode titles for quite a bit to be honest, along with the official poster (if there is any) they are the thing we’re still to get that excites me the most excluding the actual episodes. S08E02 – “The Heir” or something referring to the Greyjoys or/and Jon’s identity. 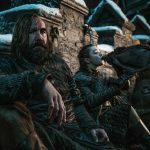 S08E03 – “The Battle for the Dawn” if not, “The Long Night”. S08E04 – “The Dwarf, the Cripple and the Mother of Madness” Really don’t know about the fourth one. 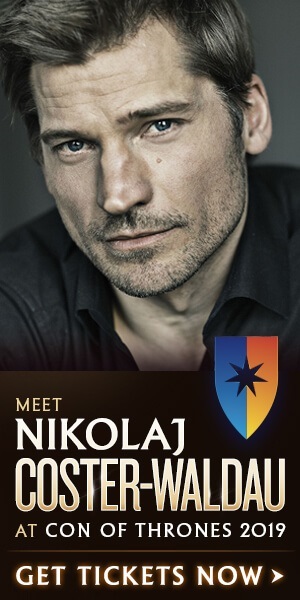 I certainly would love to see this one, as I suppose it’ll be something regarding the Lannisters. S08E05 – “The Song of Ice and Fire“. S08E06 – “The Dream of Spring“. I was wondering if anyone remembers how hyped up the “Beyond the Wall” episode was from season 7? I know that episode was one of the big battles for that season but was not received that well with all fans. Was it hyped by the people involved with the show at all? Compared to the battle of the bastards or the upcoming battle at Winterfell (episode 3)? Also how hyped was the Spoils of War episode? I wonder if they knew it was not going to be a big hit, compared to other battles. I actually prefer Beyond the Wall to BotB. I remember Liam was full force hyping the BotB. He was the biggest Season 6 hype man. I do like the idea of Jaime’s POV list of titles. His arc is one that really connects with me. Even when he did horrible things to my favorite characters I understood where he was coming from. Ned after all was holding his brother (from his POV) and he put Cersei first above all others (sorry bran). But he will be filling up the pages in the BOOK by the end of his arc. So in no particular order. As far as I remember, the wole hype was about the Loot Train Attack (Spoils of War). The battle beyond the Wall was mostly kept under wraps despite of all the leaks. Everyone here thinks E3 is going to be ‘The Long Night’. I disagree, I think the prequel show will get it. and E6 gets “A Song of Ice and Fire”. The scenery and character moments were great in BTW. Spoils is my top 3 of season 7 but Beyond the wall (place 2) and the dragon and the wolf (1) win it for me. I just thought it was weird that Dany was mute the entire time. No yelling or screaming when Viserion went down and when Jon was tackled into the lake. Ok, I’ll give this a shot..
Jack Bauer 24: I just thought it was weird that Dany was mute the entire time. No yelling or screaming when Viserion went down and when Jon was tackled into the lake. I think shock. I think she couldn’t comprehend what just happened. Her dragons were invincible creatures that just got killed. And after she understood she had no time for emotion she needed to get the hell out of there. Edit of episode title. Somehow I cannot let go of “family duty honor” for episode 1 2 or 4. The titles for 1, 3 and 6 seem pretty much a no-brainer in those exact spots, with “A Dream of Spring” looking very likely as well. Episode 1: my brother my uncle. Whoops. It’s cousin isn’t it? 1. Guess Who is Coming to Dinner? I have no clue what Arya’s gonna do this season that’s why I wrote my titles for 5 main characters in TV show Jon, Dany, Tyrion, Jaime and Cersei. Arya’s gonna be reunited with Jon in the 1st Ep that’s what’s promised by D&D. She gonna fight in the 3rd that we saw in the trailer. That’s all I know she’s gonna do. Her list wold have been so incomplete. Aegon is perfect for Episode 2, although I don’t recall them ever having just a name as a title. ….Her list wold have been so incomplete. Actually I think her list will be all checked off! That’s what I’m looking forward to! All I know that I will be pissed if the last episode is not called “A Dream of Spring”. That’s the only title I’m certain of. I have some ideas, phrases etc from the books, but no idea where to place them. Titles: Winterfell, The Long Night, Warrior of Light, Heir to the Iron Throne, A Time for Wolves (GRRM original title for the last book :O), Valonqar, A Song of Ice and Fire, Age of Heroes, The First Men. Home has already been used. Just thought of this one now… Sh*t, ‘promise’ has also been included in guesses. The word may fit though referring to broken promises such as Cersei’s and revealed promises like Ned’s to Lyanna. Staying with this one since I think it fits well. It’s a callback to the series premiere title of “Winter is Coming,” as winter has been mentioned as coming since the very start and now the one bringing it is going to fall full force. Most think the living are defeated, so Winterfell falls as well. Maybe they’ll give Hot Pie credit and call it “Winterhell” instead. Hmm, I see this title has been mentioned too. It does seem appropriate for several scenarios possible. Just to stay away from the promised prince title I’ll toss this one in with others that may have. Dialogue from Mel during the season could give this more sense. Great comprehensive list! Some of my favorites – The Ink is Dry, Seven Hells, Voice in the Flames, Burn Them All. And Night Gathers, which was the only non-obvious choice (for ep 2) in my original list. Others have mentioned most of these already. But here are my thoughts. You all do realize what we’re doing here? Last season they withheld titles until very late… We’re throwing out suggestions like mad right now. They can look at these and pick whatever from all these suggestions that fit. Possible…but we are a month away. So far they have been great at picking episode titles – they seem to have someone really creative that does this for them & HBO. Not to be mean, but the suggestion lists here (inclduing mine) are repetitive and not very inspired or inspiring. Boring actually. I suppose one or two are OK but mostly dull stuff. Some people are backing off theories (perhaps a couple of such theories are real interesting too…) about returning characters in forms of whigts or undead. 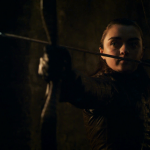 I read about the reason why Arya looks so scared in the trailer’s scene in Winterfell crypt. Some suggest of her mother Catelyn became a WW, some others of all her ancestors trasformed by the Night King himself. I spotted even a theory about Littlefinger’s return as an avenging whigt. My question is, maybe isn’t GOT trasforming itself in The Walking Dead?? “The Living and the Dead”. Fire and blood is already an episode name. Episode 3: Battle of Winterfell.